In A Song of Ice and Fire, what are rushes? They are commonly referred to as being scattered on the floor, and are usually either fresh or old. Rushes (Juncaceae family) are a sweet smelling, flowering plant that has been used for a number of domestic purposes including flooring material. When fresh, they added both insulation and a pleasant aroma to cover up the--frequently--muddy earthen floor. When old, some homes/cultures simply strew more rushes over the top to cover them and either rarely if ever cleaned them out. Other families might clean them out weekly or monthly. 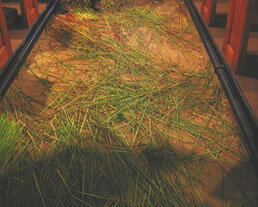 In medieval Europe, loose fresh rushes would be strewn on earthen floors in dwellings for cleanliness and insulation. 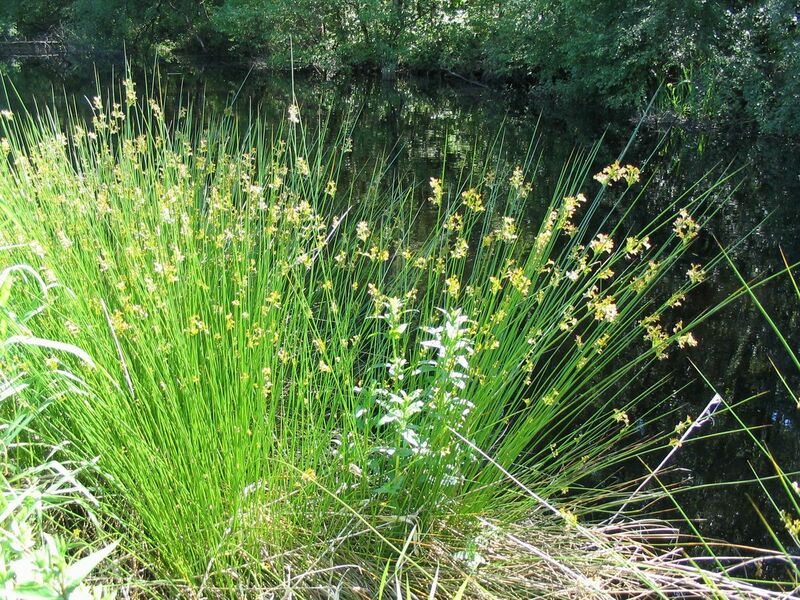 Particularly favored for such a purpose was Acorus calamus (sweet flag), but despite its alternate vernacular name "sweet rush", it is a plant from a different monocot order, Acorales. Rushes are a plant material that cover the floor of most rooms. They are used in place of carpets though some richer places do have access to carpets. The chamber was richly furnished. Myrish carpets covered the floor instead of rushes, and in one corner a hundred fabulous beasts cavorted in bright paints on a carved screen from the Summer Isles. The rushes are usually fresh and sweet smelling when laid first. The Queen's Ballroom was not a tenth the size of the castle's Great Hall, only half as big as the Small Hall in the Tower of the Hand, but it could still seat a hundred, and it made up in grace what it lacked in space. Beaten silver mirrors backed every wall sconce, so the torches burned twice as bright; the walls were paneled in richly carved wood, and sweet-smelling rushes covered the floors. Though they do go old, dirty and start to rot and so need changing, they are plant material after all. The chambers stank of rotted food, and the rushes were crawling with vermin. The wall hangings were green with mildew, the mattress musty-smelling and sagging, the rushes old and brittle. Years had come and gone since these chambers had last been opened. The damp went bone deep. "I'll have a basin of hot water and a fire in this hearth," he told the crone. "See that they light braziers in the other rooms to drive out some of the chill. And gods be good, get someone in here at once to change these rushes." I finally figured them out out of context. Carpets/rugs are much preferred yet are a costly item in that period reserving them to the wealthy. Tapestries also come in to play. We think of them as soley decorative, but they also insulated rooms and helped in deading sound so castles would not seem to cavernous as sound bounced off stone walls. Once again a luxury item not normally found in a smallfolk hovel. What is a “terrorist jacket”? Do atheists exist in the world of A Song of Ice and Fire? Are the Seasons the same throughout the world of A Song of Ice and Fire? What NFL references are in A Song of Ice and Fire? What types of magic has been displayed in A song of Ice and Fire / Game of Thrones Universe? How many named characters are there in A Song of Ice and Fire?